There have been 937 images uploaded to this topic. (View topic image gallery). There are 2931 posts in this topic. You are on page 44 of 59. Where and how did you get your 7417's? 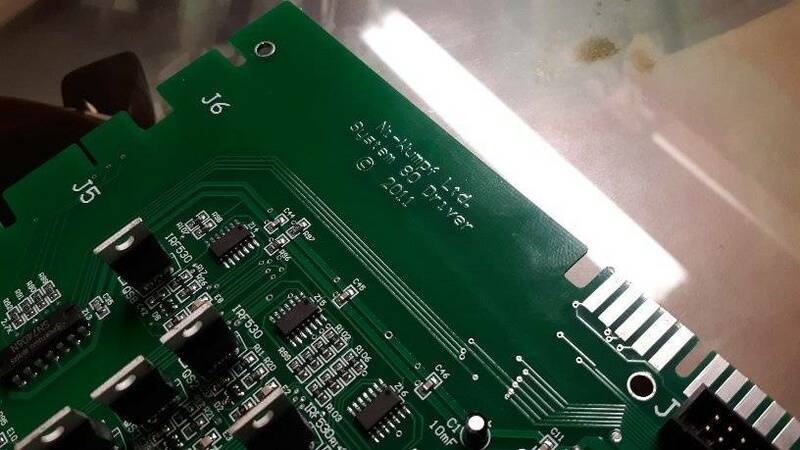 Due to the rarity of 7400 series these days, you might have counterfeit parts. Off of ebay they do have the logo on them but no name just a load some part number so not sure you could be right, Probable some dodgy chines copy as I didn't have this problem until I fitted the 2 of them. So I have just ordered some from RS Components, big company in France for all sorts of electrical parts and components. I have -12.14v at pin hole 1, 3, 5, 9, 11 and 13. 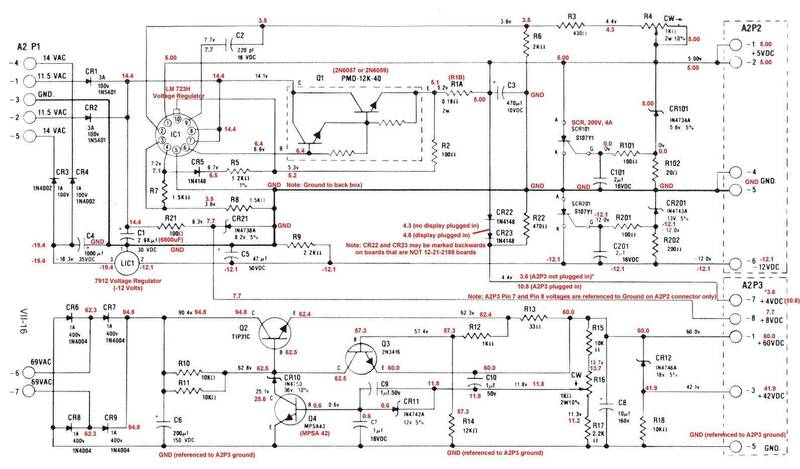 Is this right, as looking at the schematics the feeds are right but the -12v has 6.8K resistors before Z6 chip holes and the +5v has 620 resistors before the pin holes. So shouldn't this affect the voltage readings. Just found this club, I am now a member as I just got my first Gottleib System 1 Genie. 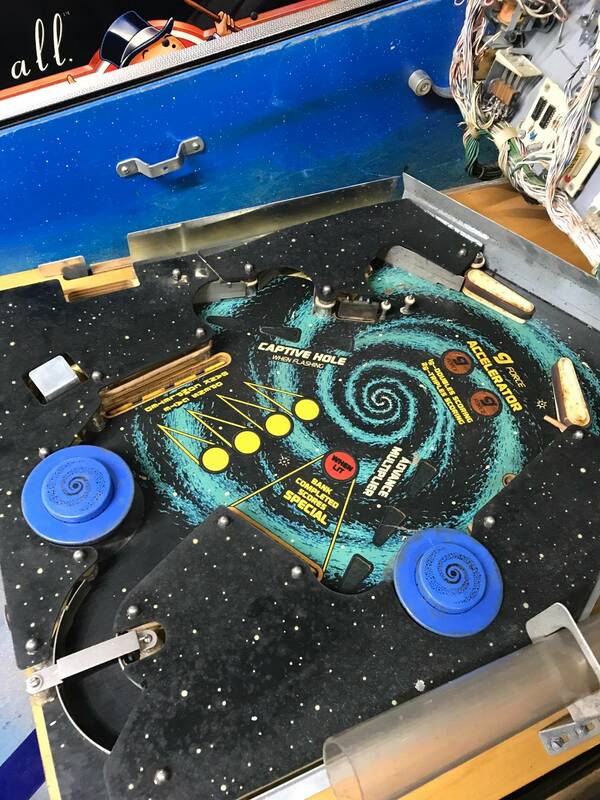 I looked at Flippers/Pinrepair/and Pinwiki's guides about these machines, wow I was a little surprised to learn that my all time fav games have a lot of issues out of the box. 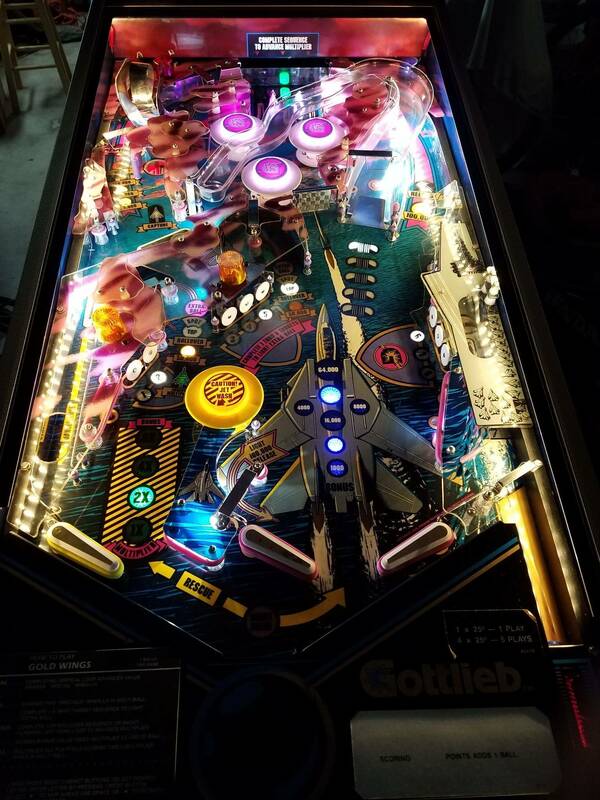 My love affair with Gottleib SS machines was starting to fade with every read post about issues with sound boards/caps/grounds etc. I checked bridge rectifiers, 24 volt one is good but 6 volt one has my questioning if its good. Per the pin repair bridge testing I get 4.2 on the 24 volt bridge (which is in range) but I only get 0.042 on the 6 volt one. (from - to +) Is it bad? 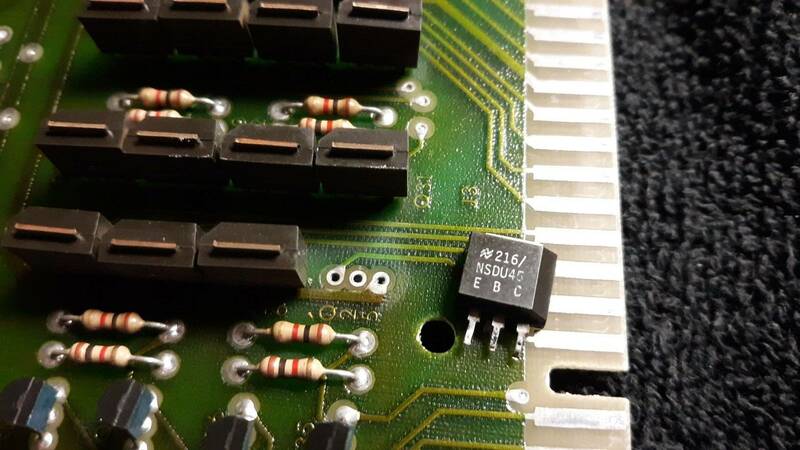 So without 12 volts from A2 Im screwed, is it a problem that can be repaired on existing A2 or do I need to replace A2 board? If A2 pwr supply can be saved I will replace capacitor per recommended guides. Once I get game working again I will do Ground Mods and replace existing Nicad battery that hasnt leaked (yet) as well. Check to make sure you have the 2 14vac at plug A2J1, these 2 are what turn into the -12v. 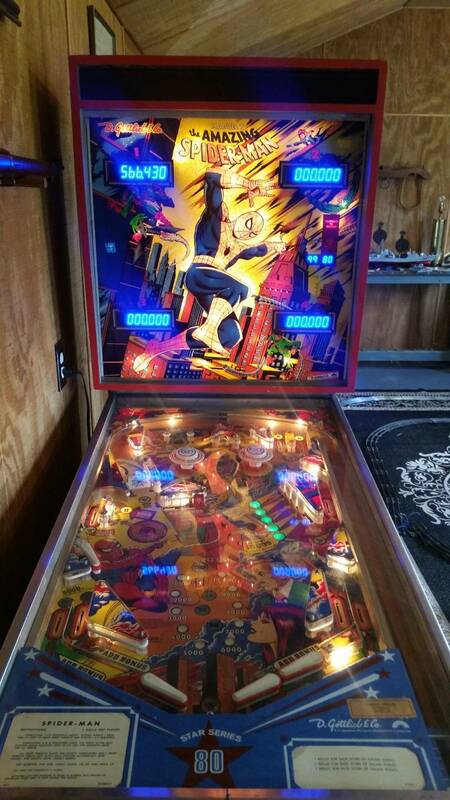 Has the pinball had the fuse mod done for the small transformer, if so they may have gone. The minus 12 volt regulator, as well as the TIP32 tab transistors MUST have their tabs isolated from the chassis gound. That's the purpose of the "mica" insulator sheet and the nylon flange washer insulator. 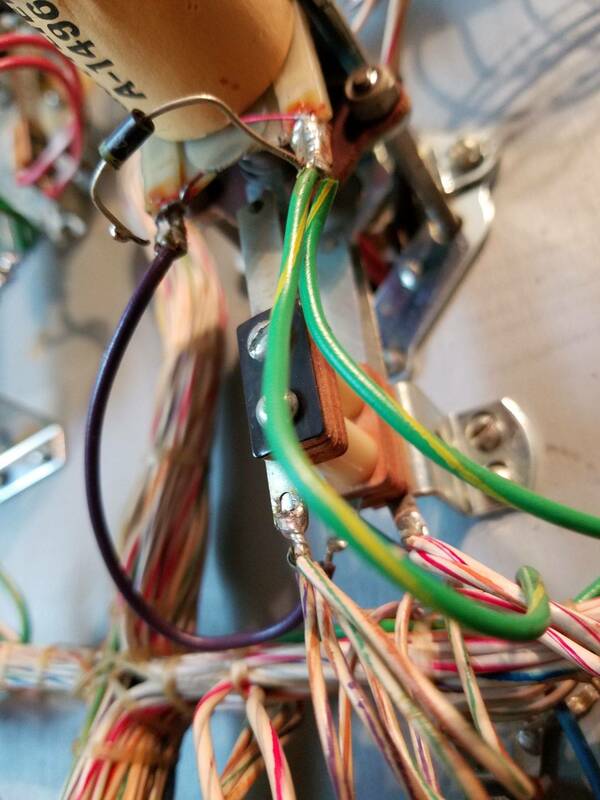 With all connectors unplugged, you should not get a low ohm reading across the tabs to metal frame. 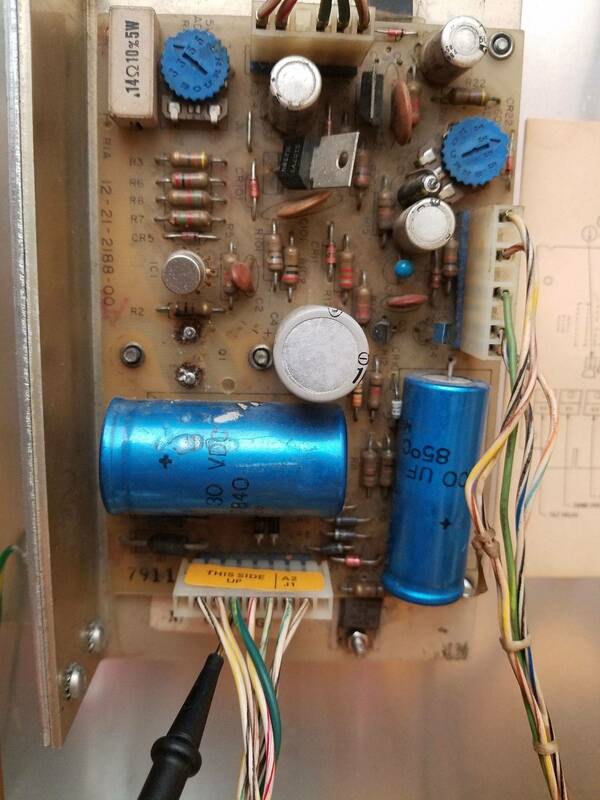 While I normally repair my system 1 power supplies, you may want to consider one of the after market replacements since they aren't too expensive. The almost 0 ohms across +/- of the 6v bridge has me wondering. Sounds like there is something shorted across the output. Does it blow the fuse for the 6v bridge? 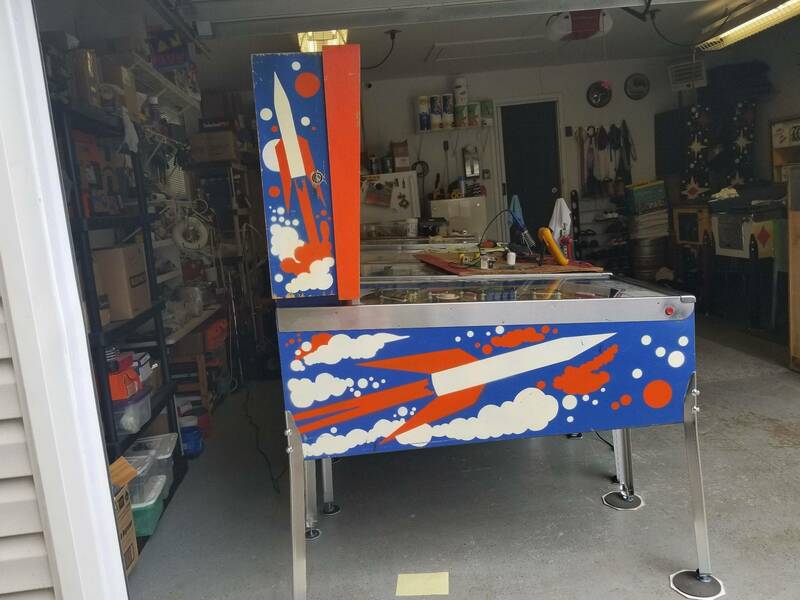 No mods have been done to this machine. Can you confirm that the readings in voltages I'm getting from the pin holes at Z6 are right or wrong? No sir it does not blow 6 volt fuse. It is isolated, I may have shorted to ground however when I replaced the oversized 6/32 threaded nut. I went to Lowes and Menards but could not find a smaller headed one like the bottom one is before I replaced it. I didnt like that it was too big and cutting into the plastic. Yes, your voltage readings with the IC removed look good. As there are 6.8k pull down resistors (-12v) on the inputs and 2.7k pull ups (+5v) on the outputs. I just noticed the Schematic in my Joker poker manual is wrong and shows Z6 as a7416 while the board is populated with 17's. Thank you very much for that, just need to wait for the fuses so I can test again. Thank you LGF for the place to start. I am leaning towards a new PS board, however I do want to learn and as with every new machine/OS I do,,, and enjoy doing so. HOWEVER, I only get 6.4 0n the LIC 1VR and 5.2 on the other side. 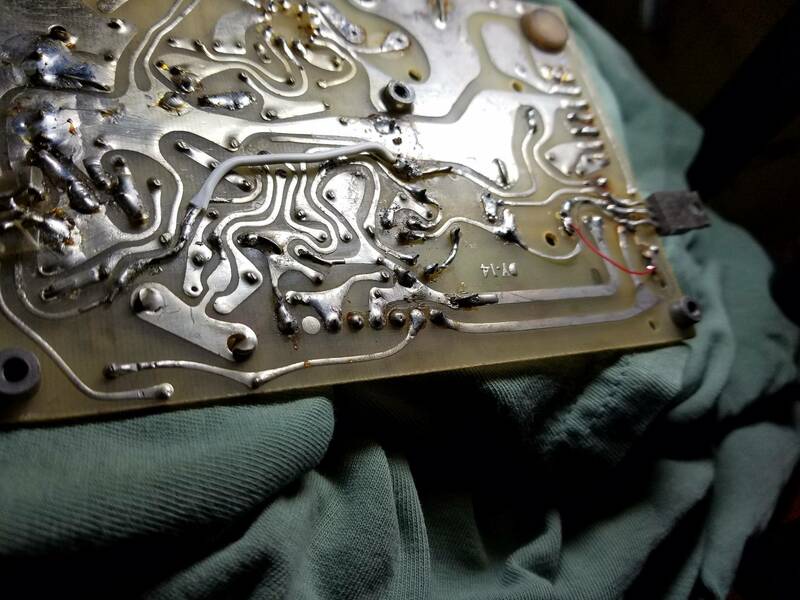 Pins are rusted (see pic) so I cant tell which side is which but I believe thats my problem, wondering if I should reflow the solder on LIC 1 VR? I do get 14.3 v on C1 for what its worth. Im still concerned that I may have more issues with the driver board and possibly the MPU. SCR 201 is a crow bar circuit (over voltage protection). So it could be loading down LIC1. 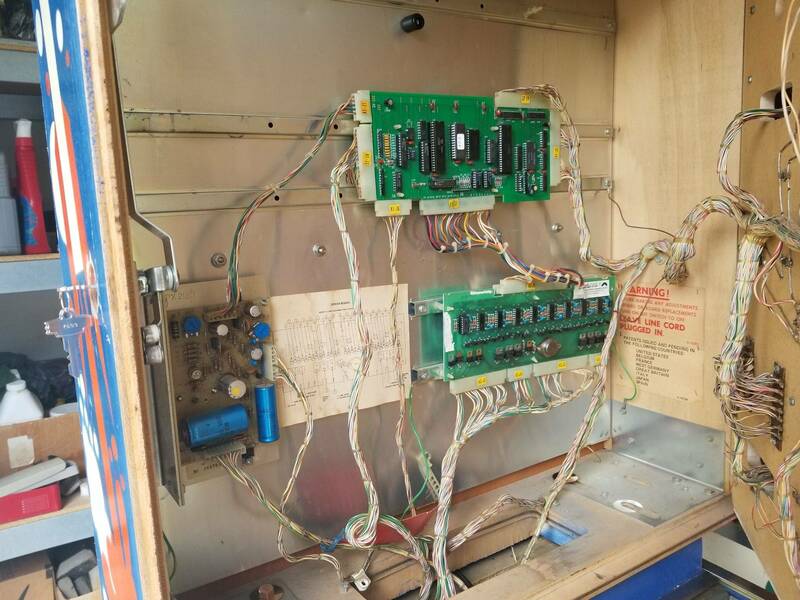 One option is to remove it and retest the output of the -12v regulator. Just don't have the CPU board attached in case your minus 12 is way out of range. However, with your 20.2 volts dropping to 6.4, you probably have a cracked trace to the 7912 (very common problem). TY Jack, will def. check the trace! May take a day or 2 as Im slammed at work. 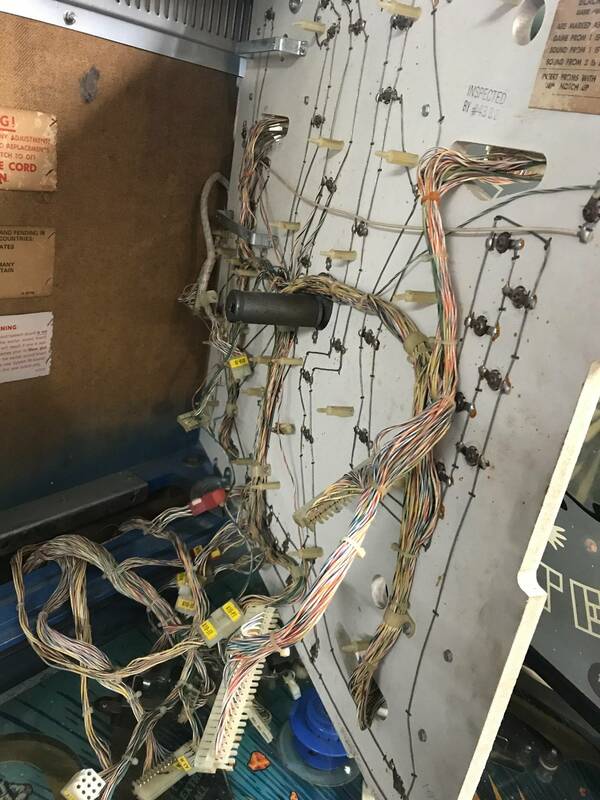 I REMOVED pwr supply board A2 as it looked pretty rough, cleaned all pins/connectors and reinstalled. Unfortunately I must have damaged something??? 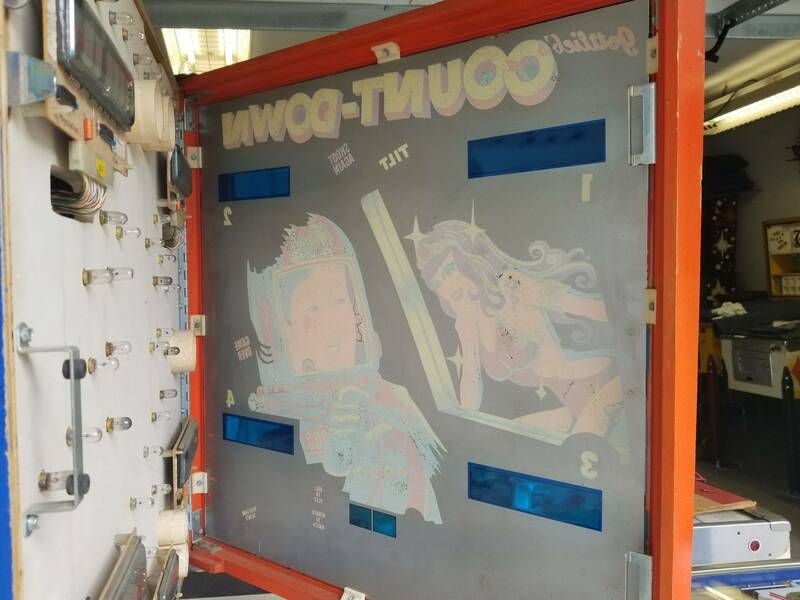 I'm curious as to the backside image of your A2 board. 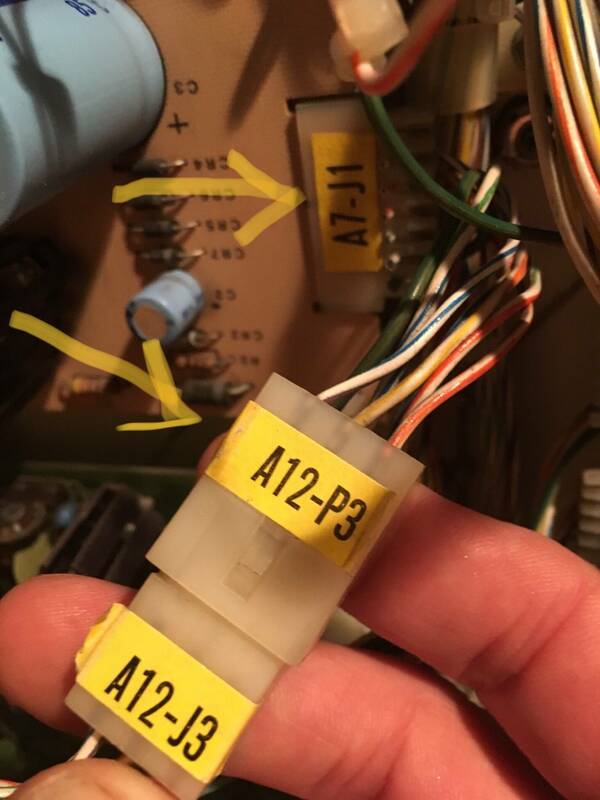 Maybe you have "loose teeth" (cracked solder joints) around the pins at A2P1, A2P2, &or A2P3. I suggest at least reflow of fresh solder at these pins. Looks like a cap job is in your A2 future as well. I recommend removal of battery from A1 CPU ASAP. Just get it off there. Today. You can always remote the battery later. I've used the memory cap from GPE on my Sys1 and Sys80s. I second the memory cap from GPE. I put one in volcano. Easy to install, cheap and works great. 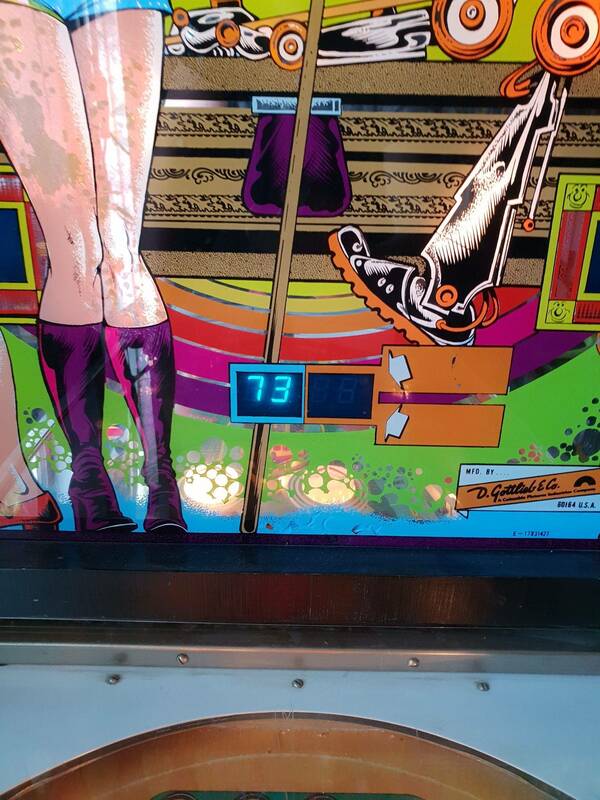 I've been using the Pinitech board on Solar Ride here. http://www.pinitech.com/products/gottlieb_sys1_nvram.php There's a bit of a quirk with the memory on boot up, but I have my suspicions it's more our particular example of MPU than the NVRAM replacement. The odd behavior I'm seeing is that 50% of the time when a ball gets kicked into the shooter lane, it's fine. There's an interesting light sequence, audio effects followed by the music of the game play. The other 50% of the time, I see what I've uploaded below. The audio effects are replaced by the Tilt...tilt...tilt...tilt...tilt...tillllllllt sound effect, except the game is not tilted. 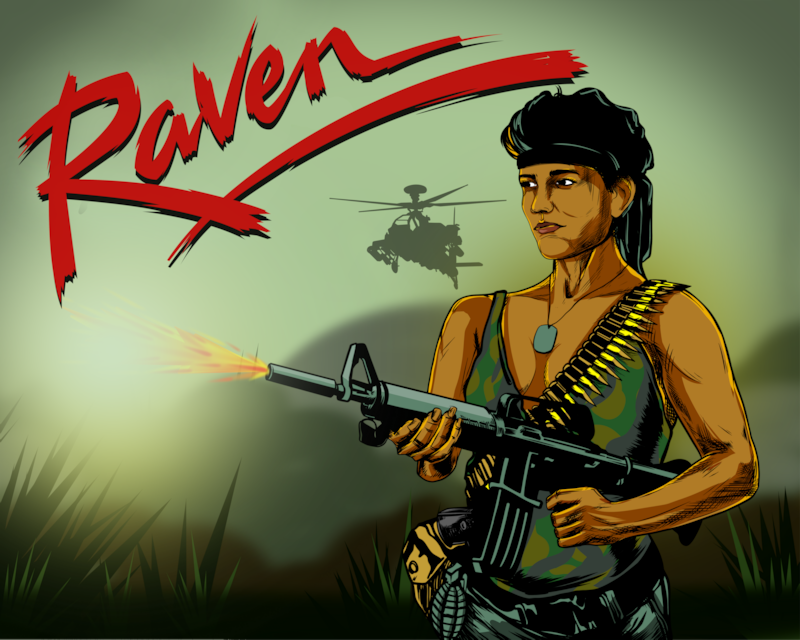 You can proceed to play the ball normally, but there is no background music. 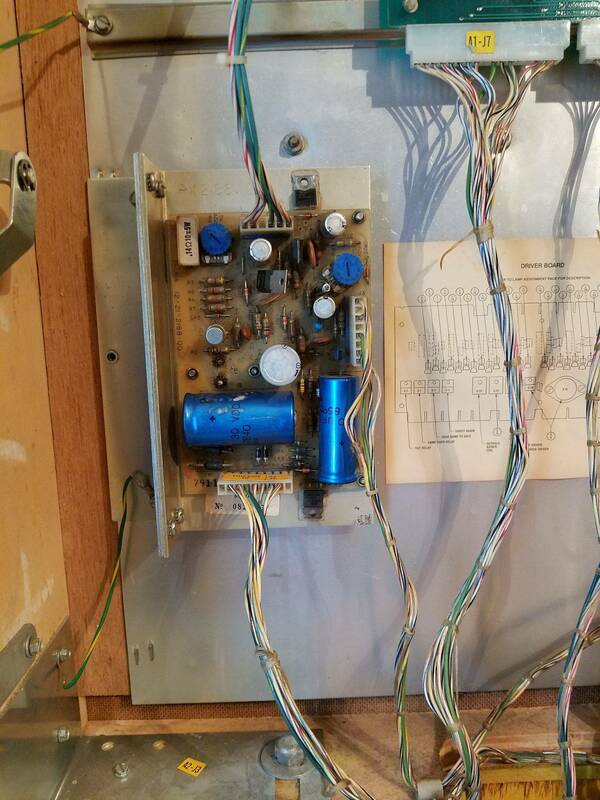 I am not sure if this is the era but at some point, Gottlieb added a switch to the Tilt Relay and the Coil enable relay to "expand" the number of sounds that the CPU could send out. The Tilt relay more than likely triggers the Tilt speech. While the Coil enable relay switches normal sounds to Attract mode sounds. So, you may want to clean and gap the switches on those relays. Finally got a chance to spend some quality time with my girl Genie as it rained all morning. Jack you are very kind, smart man and you are spot-on! 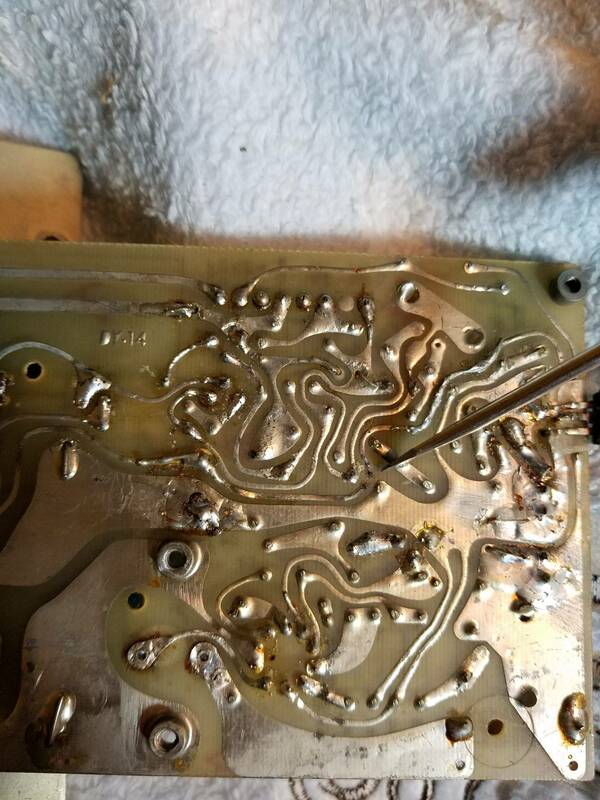 Removed circuit board and found there was indeed one Trace burned in two. As a matter of fact someone had done a previous repair with a red wire I used White. 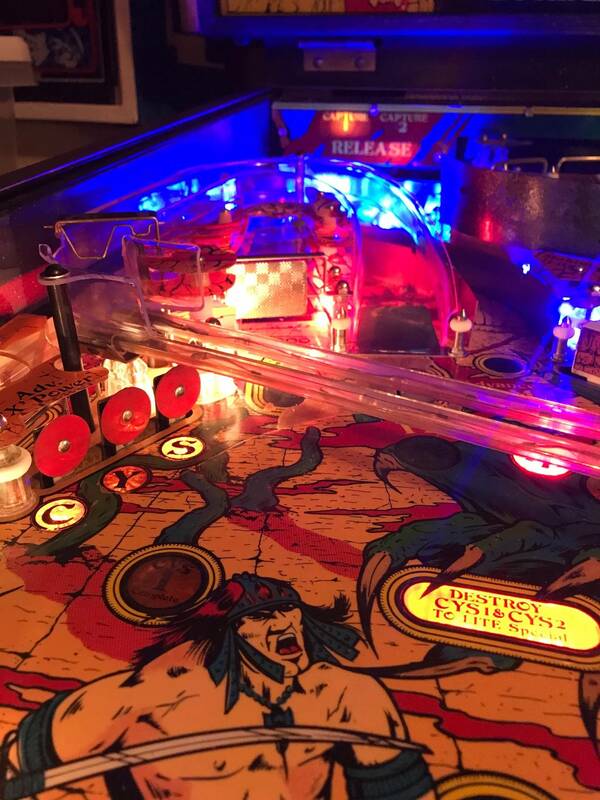 Reinstalled board and game booted up!!! I may still replace the power supply but need to get the A7 soundboard first as i believe it's prom is toasted as well. After replacing board and game booting up original problem recurred that made me fiddle with the power supply to begin with. Game wood cut out for no reason to game over and reboot. 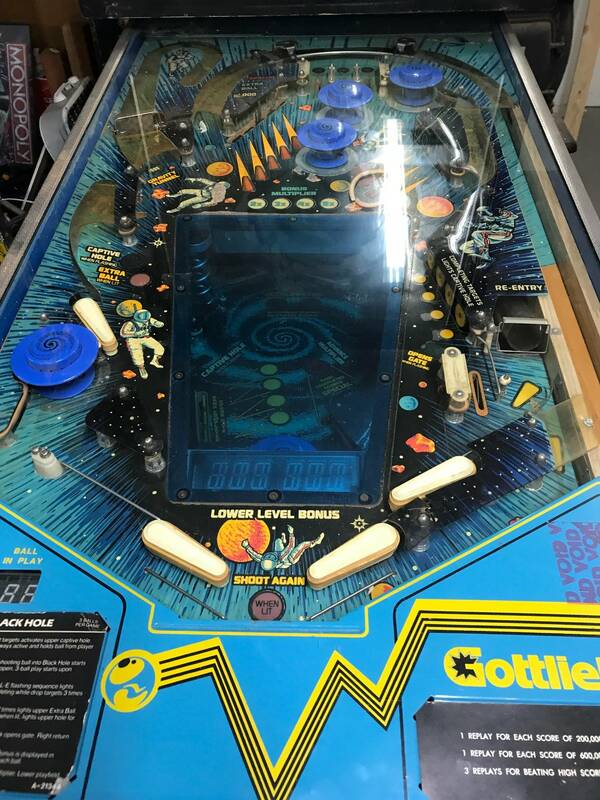 I should have known it was a bad diode on one of the coils as I've already replaced the same problem on one of the flippers. But turns out it was a pop bumper diode loose. Resolder the diode now the game works as it should! 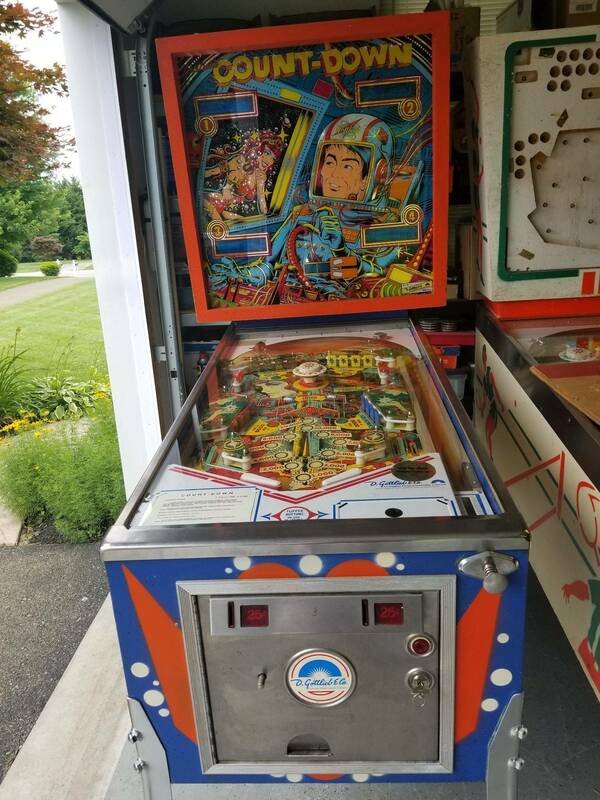 Next step on this game is the sound board then to do the ground mods power supply capacitor change clean wax and new rubbers. Many thanks to all the knowledge base on this wonderful site and especially to Cactus Jack! I could not have done it without this site. Please move ground mods to the top of your to-do list. If you don't, you may end up with new electronic failures you would then have to fix. Also, your photo shows the original blue filter caps. You can get away with not doing the HV cap ( unless the displays are flickering) but I would do the 5 volt regulator cap since it can cause lock ups and freaky problems. When playing Charlie's Angels, at the top of the pf is lit up 4 lights above 4 channels with roll over switches in each channel. Each light has a letter on it, which is C H I C.
So my question is when I roll over either switch for the middle 2 letters it just puts the letter, light out above that switch, but if I roll over the switch below one of the C's it puts both of the C's out. Is this correct as I can't remember as its been that long since I played it. Any help would be great. Got a broken power supply off of ebay and rebuilt and everything is spot on....Weird that. Thank you for the input to try and sort these 2 faults out. Done and also replaced C1 and C6 caps with a Big daddy PS cap kit, (did not do the other caps as I didnt wanna risk heating up the old fragile board traces) Removed battery and installed new offboard aa batt kit from Marcos, AND installed a TWISTER sound board as the old one was shot (PROM). Got the board in 4 days from Big Daddy stock! (No waiting 7 weeks from France...) I thought she (Genie) would sing like an angel but instead she instantly started bitching that I dont treat her right and spend too much time with my EM games so I put the old soundboard back in....silence....LOL JK. Game plays and sounds great! Can anybody tell me what the correct length or item number I need for the pop bumper rings used in 80b's like Gold Wings? They are not listed in the manual, and mine are about toast. Marco appears to have a couple different lengths. You need the one currently out of stock A16634. This is the longest one made. It must be longer because of the metal bumper mounting pad Gottlieb uses. It must be longer because of the metal bumper mounting pad the use. What chip on mpuboard are causing this on the creditdisplay? I know its the board cause it is the same in every game I put it in. Where do one get one of these? Not sure that there is even anything wrong with that display. Did you start a game and is it sitting on ball 1? If so, if the NVRAM (5101) is filled with values higher than BCD 9, you will get odd characters. Keep pressing start to start 4 players and then hit slam (assuming you haven't added the slam switch bypass jumper) which will cause the game to end and display the match number (if enabled). Press start and repeat until you see the numbers decrement down to displayable values. So, what I am saying is that your stored credits are higher than 99 and cannot be displayed properly. Once you get the 10's down to 90, or even the 1's below 9, you should start seeing normal numbers. 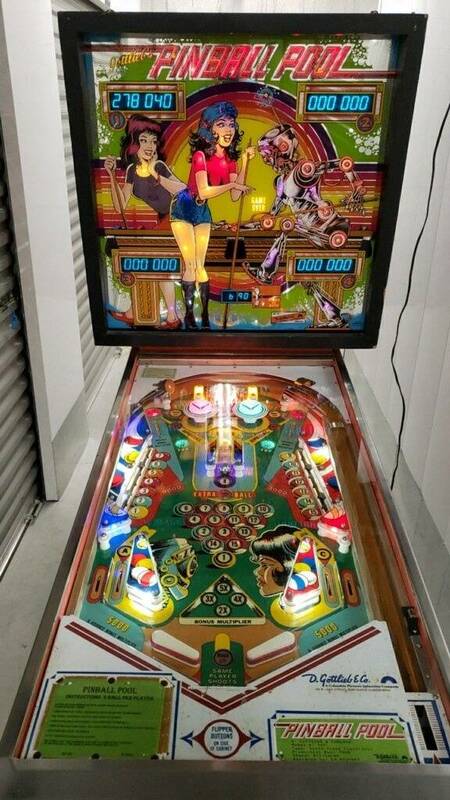 If you have no battery on the board and you have jumpered Slam and are trying to do it by turning power off, you 5101 will keep reloading with garbage each time you re-power the game. 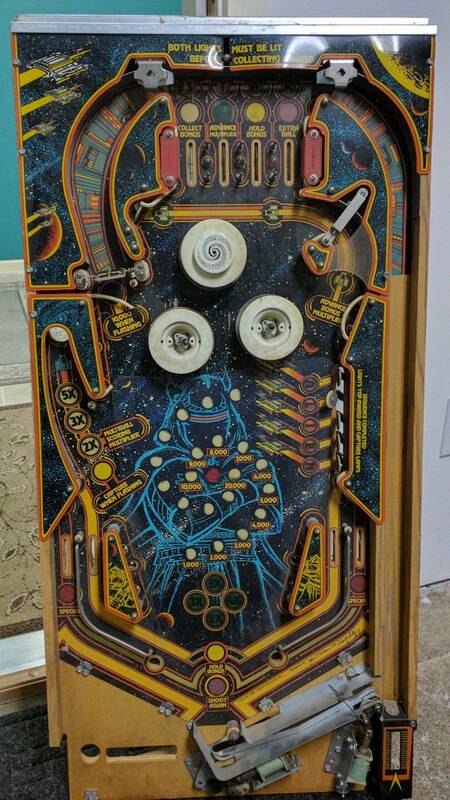 I am guessing the stand up was made by CPR if they reproduced the Pinball Pool plastic set. On a system 1, the credit limit is only monitored when incrementing the credit count (normal operation). If the game is powered up with garbage in the 5101, you can have very high values. The 1's digit can be as high as 15 (1111). So, it can take more than 4 players to get the number down to 9 so it can be displayed (15, 14, 13, 12, 11, 10, then 9). Once you get the 1's digit between 0 and 9, it should count by 1's normally but you then have to keep subtracting 10 credits from the 10's digit until you get it down to 99 credits. For whatever reason, my games when they start up seem to be a number higher than 60 and numbers start appearing in the 50's. Once you have a good battery, and good 5101 circuit, yes, credits will top out at 15 max if that's what its set for. As long as the game wont hurt its not really a problem cause I always have freeplay on . However if I want to go down on credit do I have to finish every game or just add 4 players and then kill the game and add 4 agsin and so on or will it reset every time I boot it up? Is there only one 5101 chip there? You don't have to finish the games if your slam is still functional. Only one 5101. You should confirm 3.6vdc at the ICs power pin when power is off to the machine. 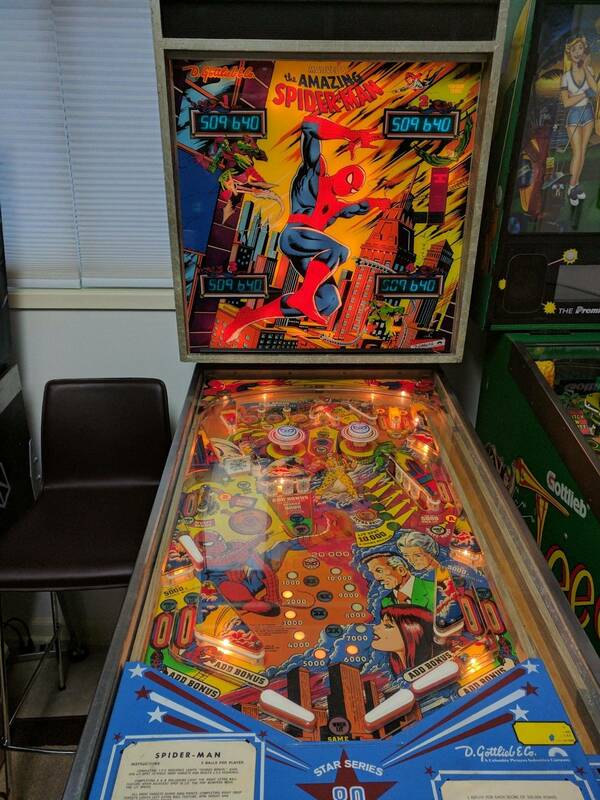 Just got my first system 80, Amazing Spider-Man, in pretty nice condition. 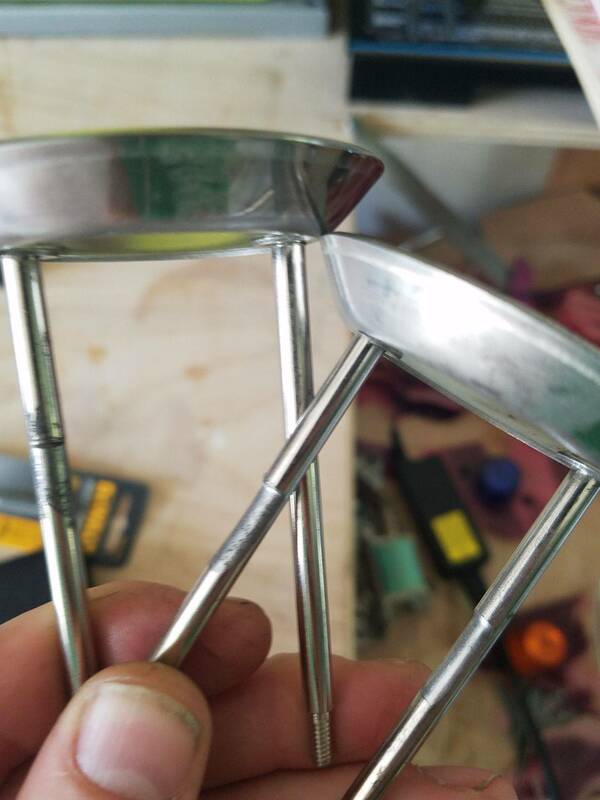 Down to one small issue, my pop bumpers are not scoring. 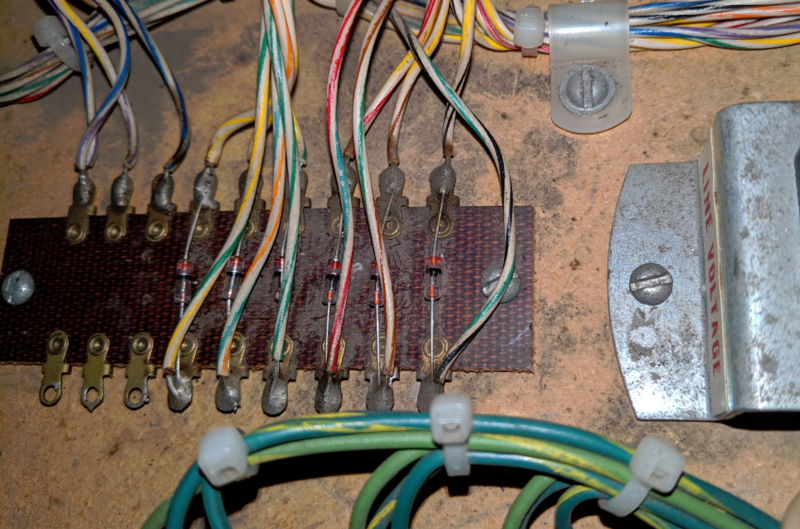 I checked the switch and continuity to the diode board mounted to the playfield and that seems good, but it appears I have a bad diode there as I get nothing on my mm in diode mode, whereas I get a reading on the others. everything else on both the same row and column in the switch matrix works fine, so I'm pretty sure it is down to the diode. the only diodes I have are the 1N4007 diodes, which those are obviously not. Is it OK to use one of those in that location? I seem to be getting conflicting information in the little information I googled. You can try the 4007. It may or may not work. The issue is, there is about a 0.7 volt drop across it. The original diode is considerably less. Therefore, the input IC may not respond to the switch closure. 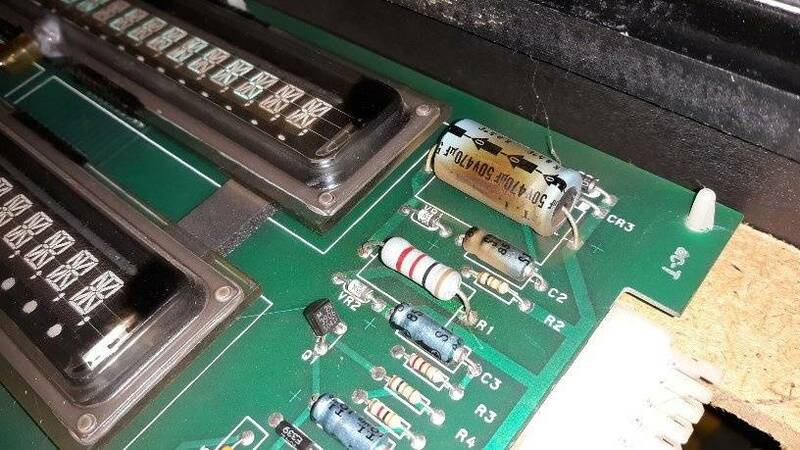 Thanks, I ran across a thread somewhere and someone mentioned stealing a diode from the coin switches on the bottom board. 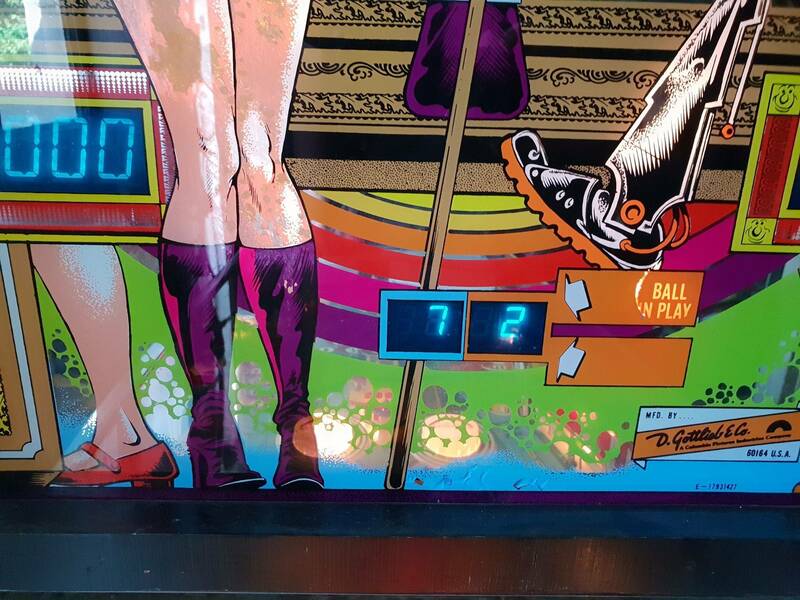 since I jumpered for free play and one of the slots is blocked off anyway, I went ahead and stole one from there and all is well, missed a bit of scoring and sound when pops don't score. just started trying to get my BH back to working order. 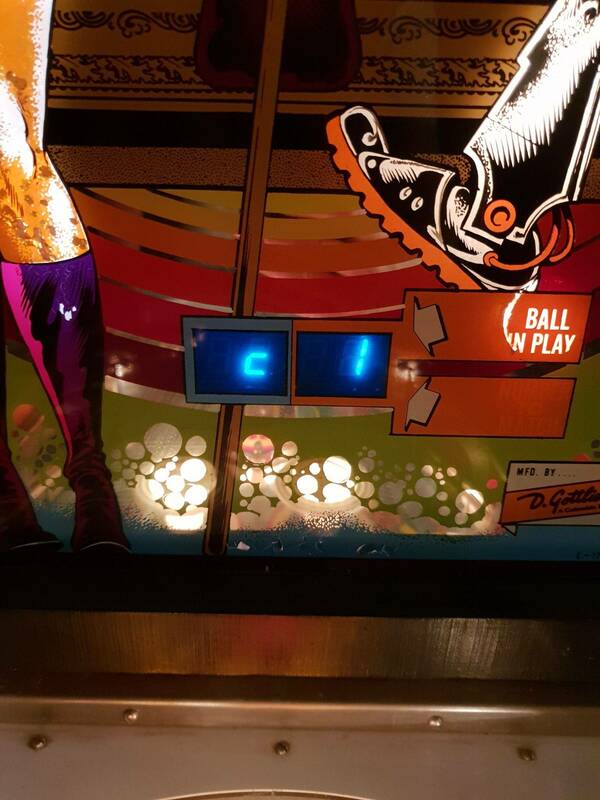 Got a pinball pool, had a bad soundboard. Changed soundboard and it worked. Later I changed the mpu board and everything worked for 2 weeks. Since yesterday I only have the startsound and no bipbops from the gameplay or bonus countdown. Its all quiet when playing. A new bad soundboard? I tried a new driverboard also but no change. Bad luck or somthing thats destroys my soundbords? Can one fix the soundboards? 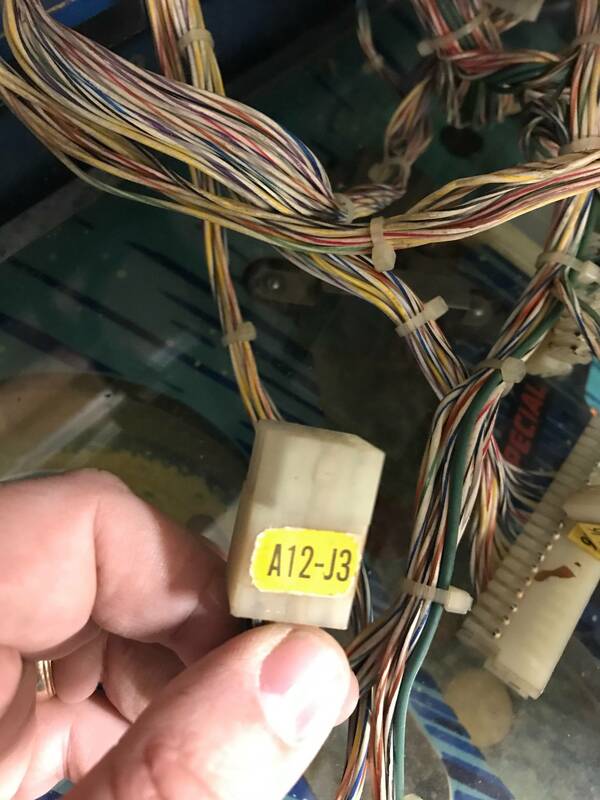 That may be a dirty dip switch. If it can play the start up tune (assuming this is a tone only sound board), then it can make all three tones. However dipswitch 20 is on..tried it on and of and the same..no sound..how do you "clean" a dipswitch? First, try swapping with one of the other banks. That switch might not be needed. Otherwise, turn it on and off about 100 times. If that doesn't fix it, time for new. 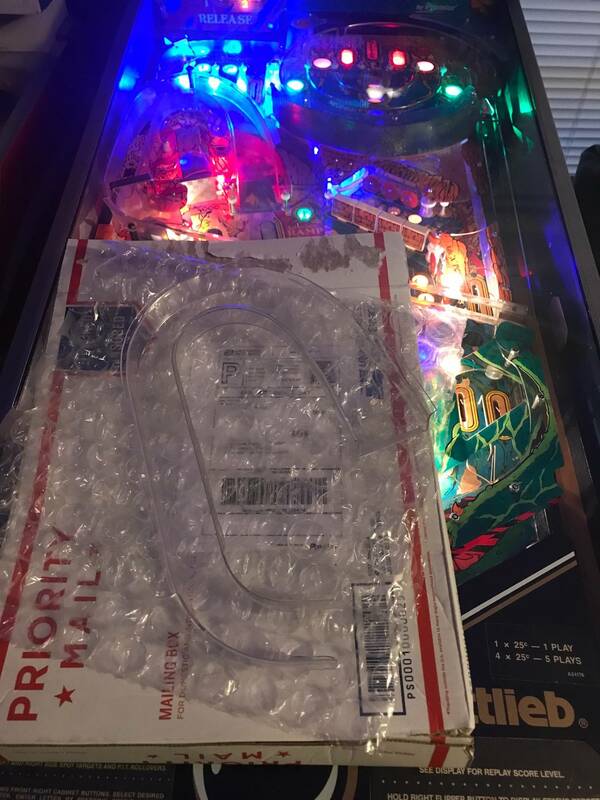 Another pinball pool question. Everything works greate now but just wondering..
Is the game suppose to count down bonus after all the balls been count out. Seems to count down 3000, 6000 or 9000 so on depending on if you have x2, x3...so on in bonus multiplyer. Its either that or how many times I have hit the 8 ball for what I can see. I have the game set to 3 balls but with the 5 ball droptarget setting. 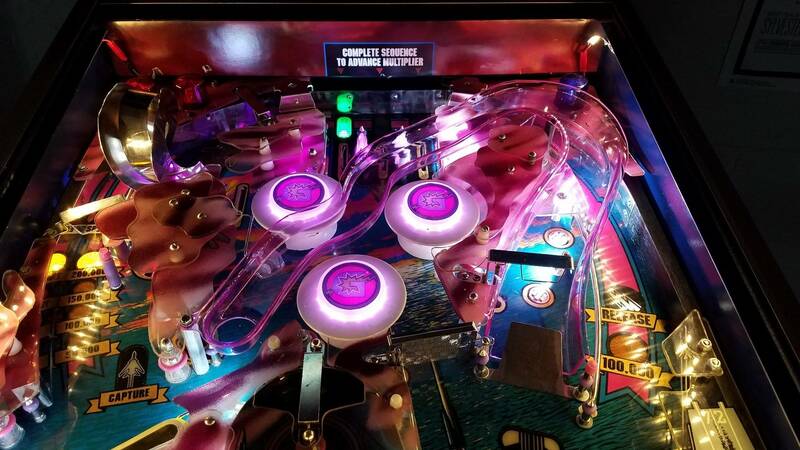 Once you knock down all the drops and hit the 8-ball (complete the rack) it lights the upper two kick holes to score the bonus when hit and then reset it all and kick your ball back out to continue.